These lovely wooden boxes come with three random Ancient Hearts Candles and three beautiful random crystals. 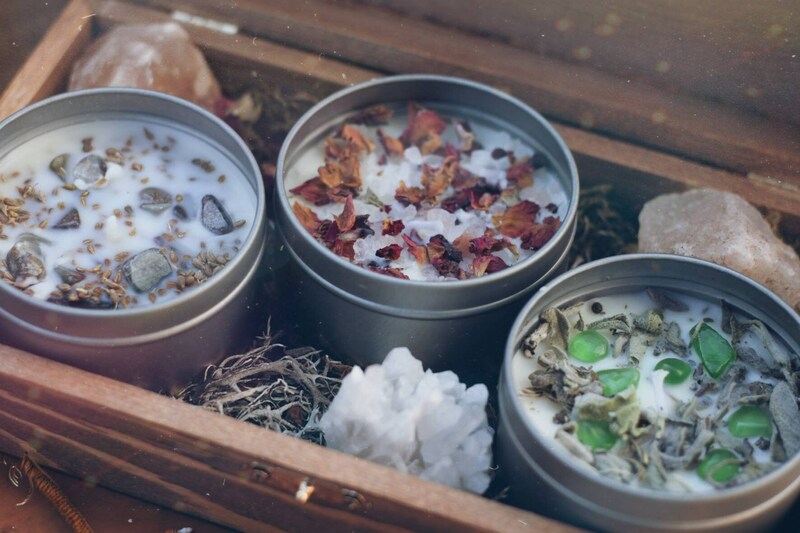 All candles are made with crystals and dried herbs. The crystals vary between Quartz, Amethyst, Agate, Labradorite, Citrine, Salt Crystal and Achat. All boxes are different... If you want specific candles or gems please send me a PM before you order so I can make sure that what you want is in stock.